If I had given birth even 50 years ago, I know there is a very good chance I would not have survived labor and delivery. The prospect would have been grim for Sweet Pea as well. Every once in a while this grim truth reminds me of just how blessed I am. Sure, 50 years ago I likely would not have even gotten pregnant in the first place. So, maybe it is a moot point. I prefer to think of it as being doubly blessed though. All I know is that I never planned to have a caesarean section (C-section), but the fact that I had one probably saved my life. At 37 weeks, my blood pressure was shooting through the roof and the only thing the doctors knew about Sweet Pea was that she ‘could’ be a large baby. It was a Friday morning. My OB/GYN informed me that I would be giving birth on Monday, regardless of whether or not Sweet Pea was ready for her grand entrance onto the stage of life. I was instructed to report to the maternity ward Sunday evening so they could start the induction process. Apart from being a little concerned about what the pain of childbirth would actually feel like, I wasn’t worried at all. I was giddy! I knew that in a few short days, I would officially join the Mommy club… I couldn’t wait for that honor! I arrived at the hospital with all my ‘laboring Mommy’ and ‘new Mommy’ supplies in order. 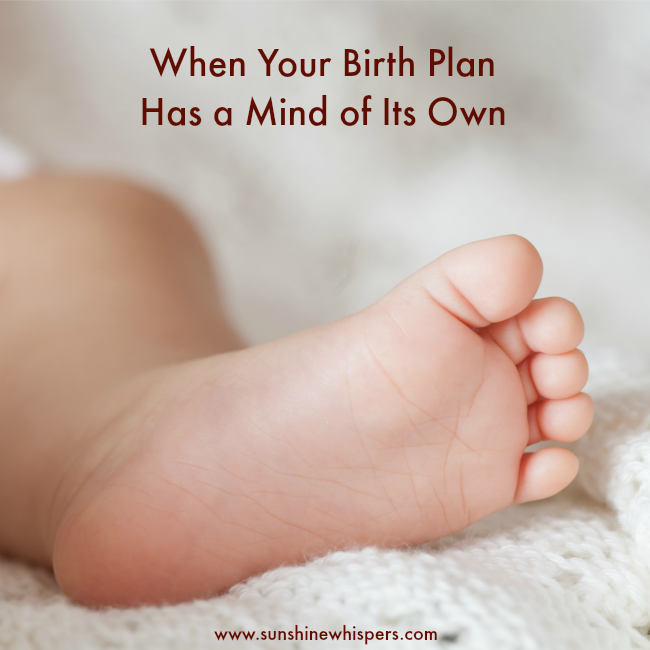 Of course I had a birth plan, but instead of being a detailed and legally binding contract between me and whoever participated in the birth of Sweet Pea, it was more like a few loosely defined statements containing what I hoped would happen. I wanted to deliver naturally. I had practiced my breathing. I knew what to expect. I wanted to try to labor without an epidural. That being said, I didn’t feel the need to get the ‘worst pain of the century award.’ If the pain became too overwhelming, I was more than ready to pull the epidural trigger without a shred of guilt. Too bad it didn’t work out like that. Sunday night into Monday morning was a breeze. I was hooked up to an IV drip which included a low dose of preparatory induction medicine. It caused a little cramping, but nothing worse than cramping I had experienced with PCOS. However, after a hearty breakfast Monday morning, the hospital decided to rock my world— and they started me on Pitocin. Let me be crystal clear for a moment. Pitocin is a dirty word. Pitocin is wretched. Pitocin is evil. If you have been induced, you know what I mean. If you have never had to be induced… thank God right now. The thing is, even Pitocin– the induction wonder drug– works differently with different women. I was put on a fairly standard course whereby the dosage would increase as the day progressed. My loving husband had come back to the hospital early that morning and after the Pitocin treatment started, we decided that he should go home and rest in the afternoon for a few hours. Our rationale was that one of us should be well rested and in their right mind. However, it wouldn’t be that bad, right? My parents arrived around noon and stayed for about 3 hours. 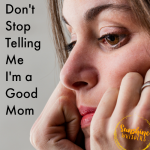 By the time my husband returned to the hospital for the hand-off, I was already in threshold labor… and I was in so much pain it took my breath away. When we took the birth class offered by the hospital, the nurse emphasized that even though no stage of labor was a picnic, the worse stage of labor– threshold labor– typically lasted less than 1 hour. I believe that I was in threshold labor for upwards of 7 hours. The contractions never stopped. We would count, one contraction would last 2-3 minutes, and then less than a minute later the process would start all over again. God bless my husband, he held my hand the entire time… I can’t imagine going through that day without him. You see, the real problem was that Sweet Pea was not ready to be born. She had a big head and she had not even ‘dropped’ into my pelvis yet. Even though her continued presence in my belly presented a clear and present danger to both of our lives (hypertension), she was on her own time. She was stubborn— so fitting that she is such a little spitfire, right? To make matters worse, the epidural was not even an option. Apparently, hospitals typically don’t offer the epidural until the mother is dilated about 4 cm. My cervix was a tough nut to crack– literally. So, here I was in threshold labor for an eternity– and there was no relief to be had. Great. To make matters worse, the very competent (and busy) OB/GYN on duty came in every hour or so to examine my cervix and its lack of dilation. I will spare you the horrible details here, except to say that I am sure she tickled my ribs from the inside with each of these exams. My husband literally had to lay on top of me to hold me down. Not fun. I don’t know what changed… it wasn’t my cervix or Sweet Pea’s willingness to get a move on. However, after about 7 hours of threshold labor, someone took pity on me and they agreed to give me an epidural. Hallelujah! As the anesthesiologist wheeled me into the pre-birth staging room (they were apparently optimistic… I have no idea why), my husband was told to go get a bite to eat and come back after about half an hour. It didn’t take long to administer the epidural and wow, the relief was so amazing… I was in bliss. Well, that is not quite correct. I was in la la land– suspended animation— I was drifting off into never never land. My husband tells me that he returned to the room to find no less than eight (!) medical professionals running around frantic because both mine and Sweet Pea’s heart rate had dropped to almost nothing. The epidural worked a little too well. The severity of the situation had not yet registered with me. However, as I looked at my husband’s face, I realized something bad was happening. He was as white as a ghost. To this day, he chokes up when we recalls that scene, because at that moment he truly believed he was about to lose both me and Sweet Pea. Within minutes, I was administered a powerful steroid, meant to shock my system back to normal.. and then the doctor gave mine and Sweet Pea’s hearts 1 hour to recover. I had entered the hospital with borderline preeclampsia. In other words, I wasn’t just hypertensive. Sometimes I dipped into the more serious late term pregnancy stress. Sweet Pea was no where near ready to come into this world on her own. Barring hypertension, I would have likely carried her to 41 weeks or longer. My cervix still had not dilated. This meant that I would likely have had to repeat the previous day’s Pitocin horror story all over again in a day… with no guarantee it would work, and likely no option for the epidural– since it worked ‘so well’ the first time. Sweet Pea was in distress… This factor trumped everything else. The doctor recommended– insisted– I be scheduled for an immediate C-section. My husband 100% agreed. So, I sacrificed my ‘plan’ for the health of my daughter. 10 minutes later, about 32 hours after I entered the hospital to give birth, Sweet Pea was delivered via C-section. Like many many Moms, the first time I heard her cry, I started sobbing. She was healthy. She was whole. She was not too big (not even 9 lbs.). She was perfect. I like to say I got all the bragging rights of a natural labor and delivery (if you can call Pitocin at all natural), but with the scars of the C-section. Am I sad I had to deliver via C-section? Nah… my medical team was excellent. I will forever be grateful for a certain OB/GYN, who quickly recognized and assessed my condition, and then expertly facilitated the ‘swift creation’ of our little family. Sometimes you don’t get what you want… but you get what you need. Somehow I think there is a broader application for that hard-won life lesson. And really, it makes quite a compelling story. Doesn’t it? Thank you so much for indulging me this week and hanging around for Sweet Pea’s birth story. I would love to hear if you have a unique or interesting birth story. 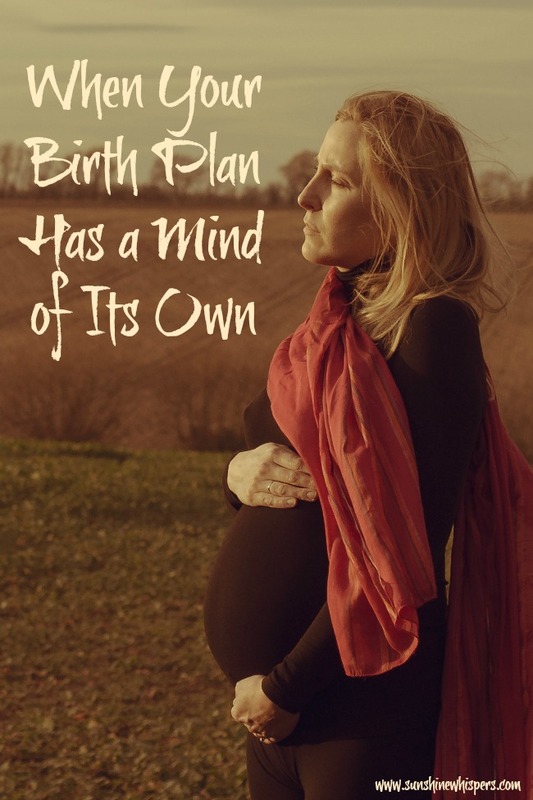 Did labor and delivery go according to plan for you, or were you surprised with how it all turned out? 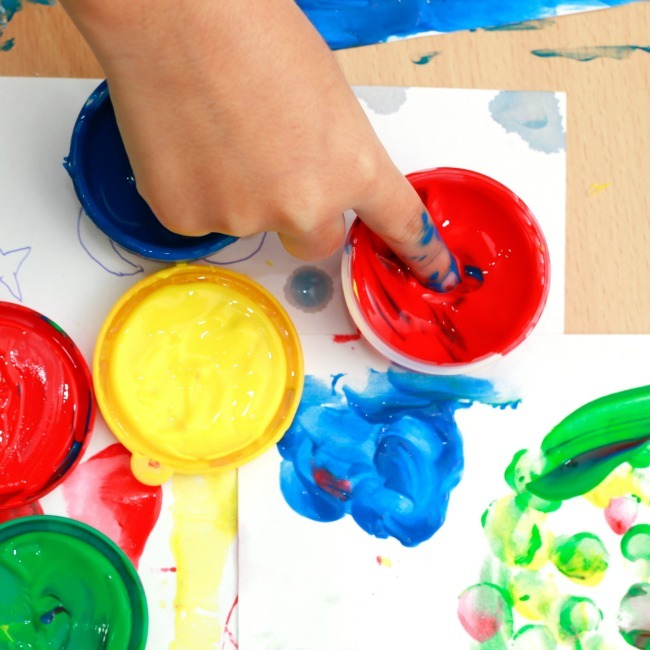 Also, read on below for more thoughtful Mommy posts.. and join in our Thoughtful Thursday linky party! Once again, I was so encouraged by all the amazing posts linked up last week. These were some of my favorites! 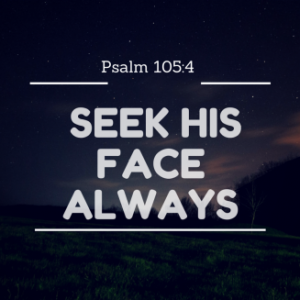 Have you ever tried prayer journaling? 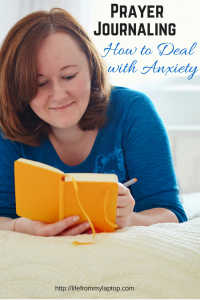 Check out Life From My Laptop’s post on how prayer journaling can help with anxiety. 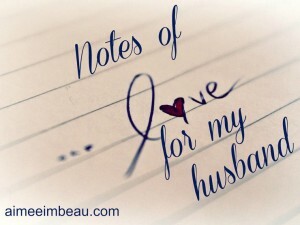 Aimee Imbeau has linked up an excellent post about the power of an encouraging word in your marriage. Do you remember when you first fell in love with Jesus? Jann Cobb encourages us to turn our hearts back to God. Do NOT link up recipes, reviews, giveaways, diy, or crafts. Link up to three posts that have not been linked up to this linky previously! We would love it if you visited a couple other posts and left a comment or shared/pinned the post! We would love if you followed your hosts on some form of social media, but this is not required. 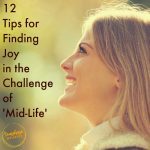 Our hope is that these posts will be encouraging, uplifting, and a source of good reading for you. If you link up, we would love if you put this button somewhere on your blog (sidebar, post, or party page) or provide a text link so that others can also find these great posts. My first little Sweetpea also decided to make a similar “grand entrance” into the world. Reading your account caused me to choke up with memories of that time. I am glad that I found you on Thoughtful Thursday! This reminded me of my first pregnancy. There are so many similarities. I agree, induced labor ain’t no joke. There was so much so going and me being very young probably didn’t help the situation either. I was scared and I think my husband was too. I had to have a c-section also. I am so glad we found each other too! In hindsight, I know my husband was super scared… it is hard to think of anything other than the pain at the time though. ha! I had to laugh out loud at this quote “I like to say I got all the bragging rights of a natural labor and delivery (if you can call Pitocin at all natural), but with the scars of the C-section.” – I had the exact same experience! I was planning a homebirth. 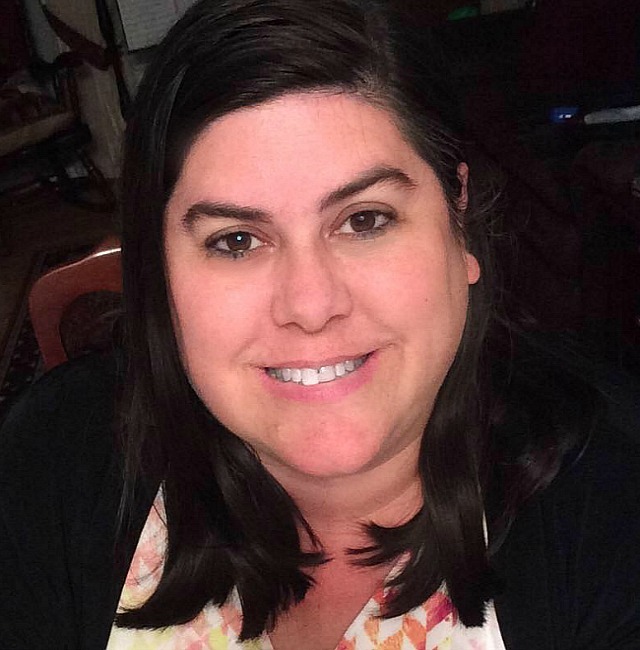 I labored for 40 hours before going into the hospital because my cervix was not dilating past 4 cm – then I spent the next 20 hours laboring on pitocin before landing myself in the ER. I thought I’d feel very disappointed but I felt just like you did, incredibly grateful to the ER staff. I’d never met any of them before, and I was terrified of surgery, and they somehow managed to help me feel as at ease as one in that situation could. Thanks for sharing your story, it’s comforting to hear someone describe an experience so close to mine. Yay for healthy babies, as the outcome is the most important thing!! Oh no! 40 hours before the hospital?!!! Wow, I am not worthy. Yeah, I am not a medical professional, but wow… they really knew what they were doing. It was comforting. I am glad my story encouraged you! I have quite a birth story too. My doctor actually told me afterwards that if I’d been giving birth in the back of a covered wagon I’d have died in childbirth. To someone who had wanted the female empowerment of a natural birth, this was exactly the wrong thing to say! Fortunately, I’ve gotten over it, and that baby is now almost 9.